Another chestnut from long ago. Adding to edit slate and all-new post next Friday, April 3! Suppose I haven’t mentioned the family dog. The only question is, which dog? 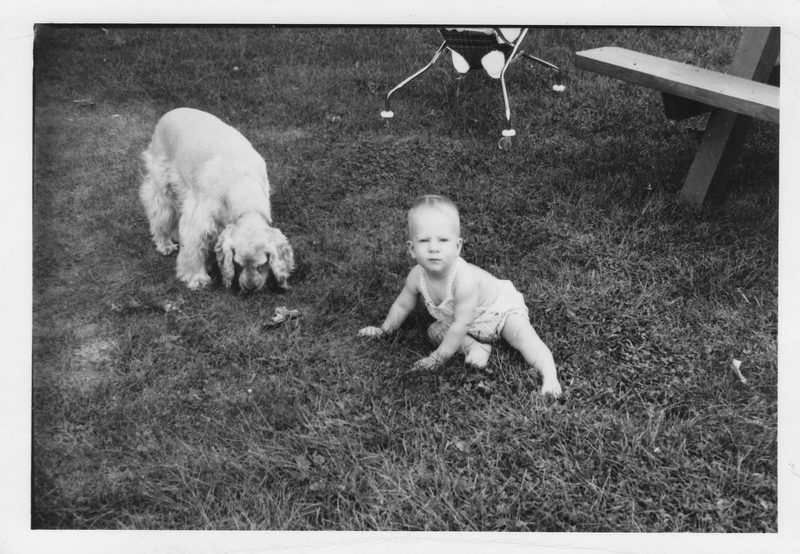 There wasn’t ever a time in The Family Project when we didn’t have a pet in the house: Taffy, our Cocker Spaniel, was the first dog we ever had. She was there when I was a toddler in Indianapolis, protecting me from wandering into the street. And I was there to watch over her when she died shortly after we’d moved to Maryland. 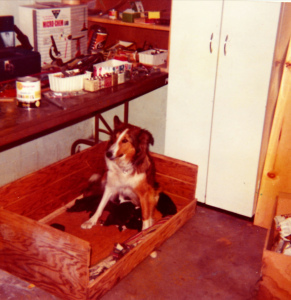 So, Lassie she was, though her tendency toward canine altruism and heroism in the face of impossible odds must’ve been stunted in the gene pool. Fact is, Lassie was a first-class sneak. ~ by completelyinthedark on March 27, 2015.